Just a few hours after the M11x specs first leaked, Dell has put its high-powered ultraportable gaming notebook on its website for pre-order. It starts at $799, and will ship on March 1. Turns out the leaked info was pretty accurate, except for the pricing and ship date. That $799 will get you a Pentium SU4100 processor, though for an extra $100 you can equip it with a far superior Core2Duo SU7300. 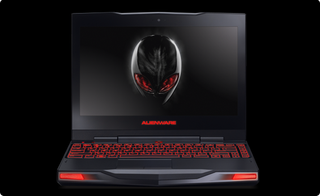 The start price also includes 2GB of dual channel DDR3 memory at 800MHz, while 8GB dual channel DDR3 will cost you an additional $350. You'll also probably want more than a 160GB SATAII hard drive, with your options scaling up to 500GB SATAII (7200 RPM) for $150.